In the online mode, students will take up the examination at designated centres where they need to answer the questions on a computer instead of using pen and paper. 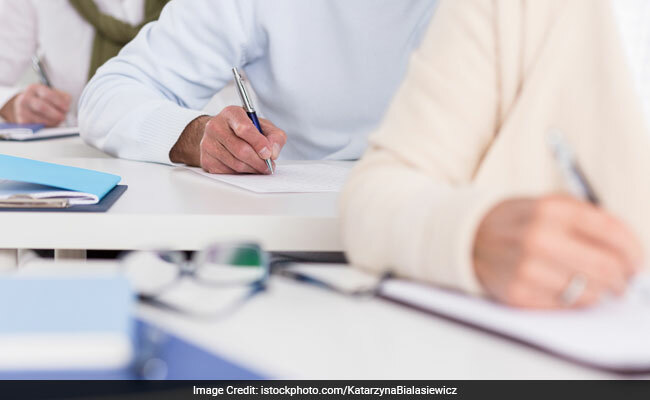 Chennai: The entrance examination for the Indian Institutes of Technology (IITs) will go completely online from 2018 to make logistics and evaluations easier, the Joint Admission Board (JAB) decided on Sunday. The JAB, which is the policy-making body on IIT admissions, took the decision at a meeting in Chennai. At present optical mark reading (OMR) sheets are used which need to be filled using pen or pencils and are evaluated by machines. In a statement, Director, IIT-Madras, and Chairman JAB 2017, Prof Bhaskar Ramamurthi said, "It has been decided that the JEE (Advanced) will be conducted in online mode from 2018 onwards. Further information regarding the examination will be provided by the JAB in due course." The Ministry of Human Resource Development had earlier introduced the option of taking the Joint Entrance Examination (JEE) Mains online. The JEE-Mains is the entrance examination for admission to engineering courses offered across the country and a qualifying exam for JEE-Advanced which is required for admission to the IITs and NITs. "In order to make logistics and evaluations easier it was decided today that the JEE-Advanced should be made online," a JAB member said. "The concept was being discussed for many years, but it was necessary to have adequate infrastructure to conduct the exam online," the member added. More than 13 lakh students took the JEE-Mains this year, with less than 10 per cent of them going online. Around 2.2 lakh students were eligible to write the JEE (Advanced).